New Delhi: The Parliamentary Standing Committee on Food, Consumer Affairs and Public Distribution, which examined the Consumer Protection Bill, 2015, has recommended for a fine of Rs. 10 lakhs and imprisonment up to two years or both for first time offence and fine of Rs. 50 lakhs and imprisonment for five years for second time offence against endorsers of misleading advertisements. The recommendations are under consideration of the Government. Under the Legal Metrology (Packaged Commodities) Rules, 2011, the Central Government has issued instructions permitting manufacturers or packers or importers of pre-packaged commodities to declare the changed retail sale price (MRP) on the unsold stock manufactured/packed/imported prior to 1st July, 2017 after inclusion of the increased amount of tax due to GST, if any, in addition to the existing MRP , for three months with effect from 1st July, 2017 to 30th September, 2017, by way of stamping or putting sticker or online printing. Further, for reducing the MRP, a sticker with the revised lower MRP (inclusive of all taxes) may be affixed and the same shall not cover the MRP declaration made by the manufacturer or the packer or importer, as the case may be, on the label of the package. The Legal Metrology Act, 2009 and the Legal Metrology (Packaged Commodities) Rules, 2011 provide for penalty for violation of the provisions. The Department of Revenue has set up a helpline to address the queries/complaints related to GST. In the Department of Consumer Affairs, the grievances/complaints related to GST are handled by the National Consumer Helpline. 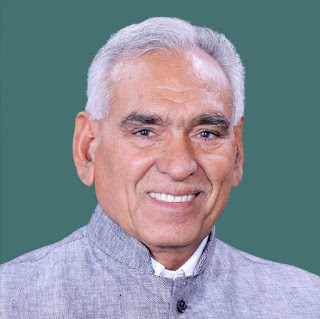 This information was given by C. R. Chaudhary, the Minister of State for Consumer Affairs, Food and Public Distribution, in a written reply to a question in Lok Sabha, on Tuesday.